Are you a nurse who is thinking about returning to school for a bachelor’s degree in nursing? 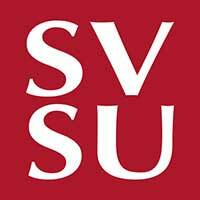 SVSU’s RN to BSN program has been designed for the working RN. The program can be completed in as few as four semesters or completed at your own pace. Courses are offered either fully online or in a hybrid format and instructors use a variety of teaching tools for every learning style. Clinical experiences will consist of participating in online simulation, working with preceptors, and developing quality improvement projects. Our RN to BSN Coordinator is a registered nurse who will advise and guide you every step of the way. When you join SVSU’s RN to BSN program, you will be learning along with other working RNs who are also completing their bachelor’s degree in nursing. The program is designed to be completed on a part time basis with classes offered either fully online or hybrid (some face to face or online meetings). In the hybrid program, face to face or online meetings occur no more than three times during the semester. The program is flexible to meet your needs. The online and hybrid tracks are interchangeable at any time. The program consists of online and project-based assignments that complement the nursing work you are doing now. We’re here to help you. Your first step is to complete an inquiry form. There is no fee or commitment to submit the form. It alerts our RN to BSN advisor that you have an interest in the program. Complete the form and look forward to having your questions answered soon. Our RN to BSN advisor is a registered nurse who understands the challenges of trying to balance work, life and school. She’s here to help. We know that going back to school can be expensive. Here is an idea of the cost to attend SVSU’s RN to BSN program. Are you ready to find out what it will take for you to complete your BSN? There is no commitment and no cost to you to apply. To get started, click on the link for some simple instructions.